The Freedom Center Spring 2019 colloquium series presents Christel Fricke (University of Oslo). Topic: "Reflective sentimentalism in Aesthetics: Hume’s Question and Kant’s Answer"
Abstract: ‘Beauty’ is an evaluative predicate; the evaluation of an object as beautiful or not is constituted by an aesthetic sentiment. But not all the sentiments that people have in response to a particular object of perception can support an aesthetic judgment all other people have reason to agree with. Only proper aesthetic sentiments can do so. Aesthetic judgments which are well-grounded are based on proper aesthetic sentiments – and vice versa. The challenge for the philosopher is to explain in virtue of what a sentiment is aesthetically proper without merely moving in a circle. Both Hume and Kant tried to meet this challenge, but they did so in different ways. And my claim is that only Kant did so successfully. 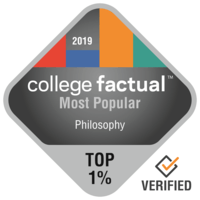 We welcome faculty, students, and staff of the Philosophy and Moral Science Departments as well as members of the wider University community. RSVP to Lucy Schwarz at luciaschwarz@email.arizona.edu. The complete list of current and past colloquia is on the Freedom Center website.